Most social media professionals in Mumbai are familiar with the name of Kiran Manral. This thirty-something suburban housewife is one of the more influential voices in the social space. Her blogs, Karmikids and Thirty-six and counting are among the better known Indian parenting & personal blogs, respectively. She runs India Helps which supports to disaster victims and she is also one of the driving forces behind Child Sexual Awareness Month and Violence Against Women Awareness Month. 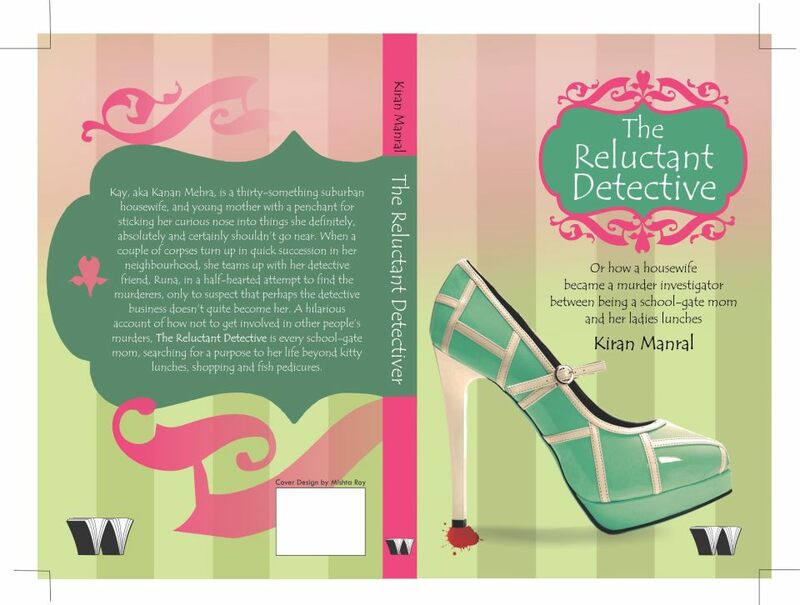 With her debut novel ‘The Reluctant Detective’, Kiran adds ‘published author’ to her formidable list of accomplishments. Not surprisingly, Kiran has been tapping into the social space to create interest around the book and her activities since the book’s launch make for a great social media case study. As the novel neared publication, Kiran’s social network came in to play a bigger role. Instead of splashing on a big advertising budget, she reached out to her immediate circle. Many of them are influential bloggers or tweeters also and helped her spread the word. Additionally, her friend, Mahjabeen Umar shot a Youtube-worthy promo for ‘The Reluctant Detective’. This well-organized blogathon generated a lot of visibility for the book. At least 30 bloggers blogged and tweeted their impressions of ‘The Reluctant Detective’. On Kiran’s request, some of the reviewers also posted their comments at online book retailers and book review sites. Westland Books, her publisher, signed ‘The Reluctant Detective’ up for BlogAdda’s Book Reviews program and that brought in some informed opinions about the book on the blogosphere as well. Kiran used Google alerts to keep updated on mentions of the book. Thus she managed to track blogposts, blogathon mentions and reviews, all of which made it to The Reluctant Detective blog. ‘The Reluctant Detective’ Facebook Page posts updates on upcoming events, photographs from readings, press coverage and news on giveaway contests. Readings were the obvious choice for a new author and Kiran made sure to be at all the expected places, including the prestigious Kala Ghoda Art Festival 2012’s ‘Fresh Off The Shelf’ and the Wassup Andheri festival. In addition, she organized a series of events for select groups of people, all part of her network. Since ‘The Reluctant Detective’ is “chick lit” and will most likely interest women of a particular age & background, the events also targeted this group. Interestingly, these events were reminiscent of situations and settings in the book. 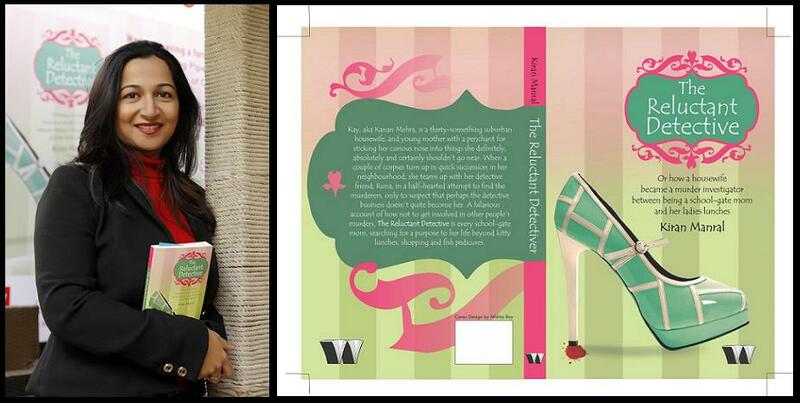 Kay Mehra, the protagonist of the book, loves her shoes & baubles, her beauty regime and is no stranger to posh ladies lunches. 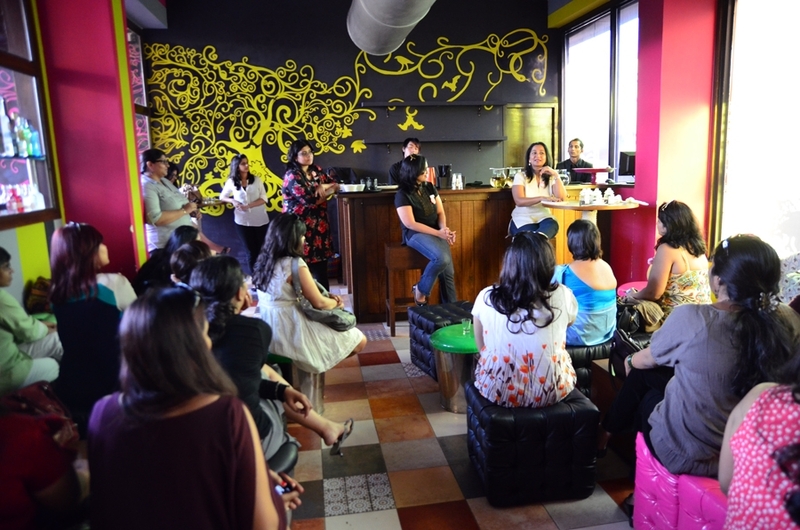 Accordingly, Kiran hosted a ladies lunch at the very fashionable Bungalow 9. The Hilton, Chennai hosted a women bloggers’ dinner at their restaurant, Ayna in keeping with the book. Another delectable food-and-book experience was Kiran’s reading at the annual #perfectParTEA hosted by noted food blogger, Rushina Munshaw Ghildiyal. Women’s Day saw a great deal of activity in the form of a wine-and-cheese book reading at Zoya by Tanishq, Breach Candy, Mumbai and also a reading at IIT Madras’ Women’s Forum. Kiran has made it a point to not blindly plug her book but create interesting experiences for the people who attend the events. In keeping with the womanly vanity of Kay Mehra, Kiran invited some friends to spend an hour getting a free manicure or pedicure, at the Jean Claude Biguine Spa in Bandra. While Jean-Claude Biguine invited her to read, the event focused more on getting invitees to relax and enjoy their time there. Similarly, the Bungalow 9 event was a real ladies’ lunch with a sumptuous spread laid out (sushi et al) and the women discussing everything from fashion to politics. Kiran gave out a few copies but did no reading. Both Bungalow 9 and Biguine keen to get their Twitter presence felt, tweeted about the event during and after. In the book, Kay Mehra frequently experiences motherhood anxiety, something that Kiran often talks about on her blog too. One of her readings was at Happy Planet, Powai, targeted at parents and included a discussion on the challenges of urban parenting. In the two months since the book was launched, ‘The Reluctant Detective’ has drawn plenty of attention, almost all of it from its social media activities. After an initial print run of 3000, the novel went into reprint within its first month. It is hard to determine the exact impact of each of Kiran’s activities on sales. But a book is not a bar of chocolate. It is a much more nuanced and complex experience. ‘The Reluctant Detective‘ stands out for being the first book that to be marketed thus through social media.